Neuroscientist, Professor and TV host, Dr. Heather Berlin is one of the most prolific and well-known science communicators today. As well as presenting Science goes to the movies and Superhuman showdown, Dr. Berlin has appeared in various other shows including Bill Nye: Science Guy, Star Talk Radio Show and given two TEDx Talks. 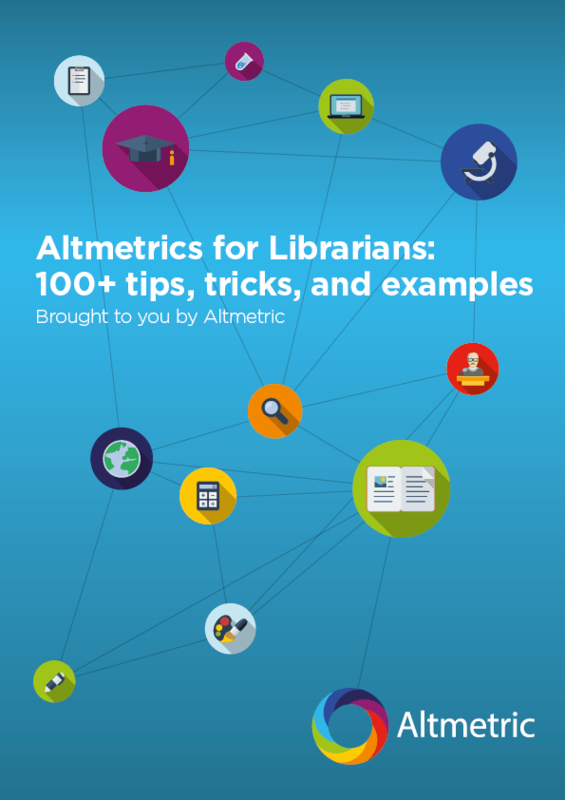 Last week we interviewed Dr. Berlin in the latest #Altmetchat to ask her about how she got into science communication and the projects she’s currently working on. Prior to the interview, we asked our Twitter followers a question. 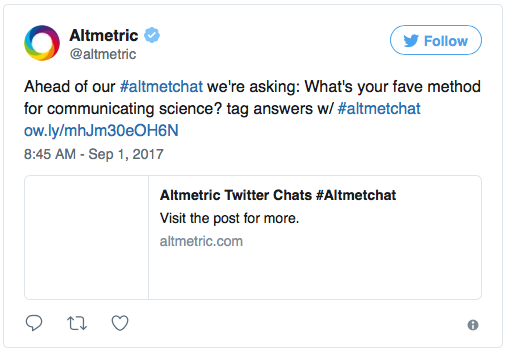 We’re still receiving answers so please feel free to tell us your favourite method for communicating science by tagging #Altmetchat. Berlin has been the recipient of numerous awards and fellowships including a Young Investigator Award from the American Neuropsychiatric Association, a Young Investigator Award from the National Education Alliance for Borderline Personality Disorder, the International Neuropsychological Society Phillip M. Rennick Award, and the Clifford Yorke Prize from the International Neuropsychoanalysis Society. She won the 2015 BBC2 Christmas University Challenge as part of the Magdalen College, Oxford team.